PLEASE VISIT MACUMBISTA.NET FOR CURRENT INFO, DATES AND CONTACT INFORMATION! OR WAIT FIVE SECONDS AND YOU WILL BE AUTOMATICALLY FORWARDED. 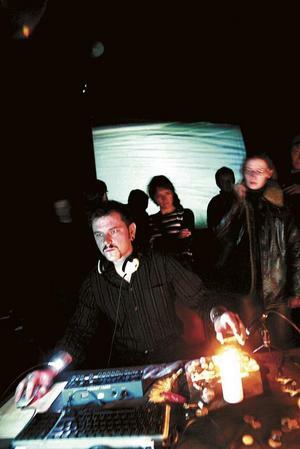 Holzer has performed live, improvised electronic music, created sound installations and given workshops in basic electronics, field recording and Pure Data programming in many venues and festivals in Europe, North America, New Zealand and Brasil. Derek Holzer is a fellow at the KHM-Kunsthochschule für Medien Köln, Cologne, DE from Sept 2009 to March 2010. Holzer's live performances as Macumbista combine live, self-built analog electronics with field recordings and found objects at the meeting points of electroacoustic, noise, improv and extreme music. TONEWHEELS is an experiment in converting graphical imagery to sound, inspired by some of the pioneering 20th Century electronic music inventions such as the ANS Synthesizer (Murzin USSR 1937-57), the Variophone (Sholpo USSR 1930) and the Oramics system (Oram UK 1957). In this workshop, participants will learn to construct two different circuits: a simple light-to-sound converter and a variable motor speed controller, as well as how to design and print their own tonewheel patterns using the FLOSS software Inkscape. SoundTransit is a collaborative, online community dedicated to field recording and phonography. On this site, you can plan a sonic journey through various locations recorded around the world, or you can search the database for specific sounds by different artists from certain places. This workshop combines an introduction to recording technologies, in-the-field recording sessions with critical listening skills and basic post-production techniques to produce mono, stereo or multichannel field recordings, suitable for uploading to the Soundtransit.nl website. More than 40,000 years ago, our Neanderthal predecessors invented the first music instruments from simple objects around them (bones and stones, sticks and skins...), without reference to any existing music history, and primarily for their own pleasure rather than that of others. Nowadays, we use complex audio hardware and software which make it "easier" to make music, so long as we channel our creativity into such socially acceptable avenues as Western Classical or Minimal Techno. As with any established genre, the results are often completely predictable, and therefore quite boring. But some of us, deep in our wild hearts, still long for the Stone Age simplicity of pure noise! This 5 day workshop is designed for 8-10 people, possibly with a background in sound, but with no previous electronics experience. They are shown how to use simple objects from our modern environment (resistors, capacitors, transistors, LEDs, integrated circuit chips...) to design and build their own personal, customized primitive noise synthesizers. Each is a tiny world of its own, using primitive analog computers in combination with feedback, sensors and audio inputs to create a unique sound. Even from the same plan, no two are alike! 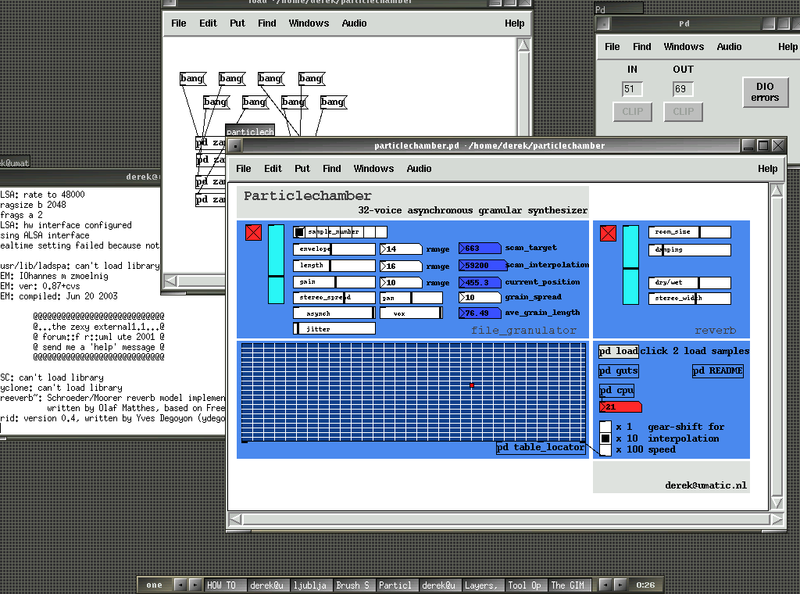 This workshop ties in with the Pure Data FLOSS Manual, and can cover many different areas including basic Digital Signal Processing, Basic Video Processing, AudioVisual Cross-Synthesis, Sample Manipulation, Multichannel Spatialization, Physical Computing, Sensors and other areas of computer music and human/computer interaction.